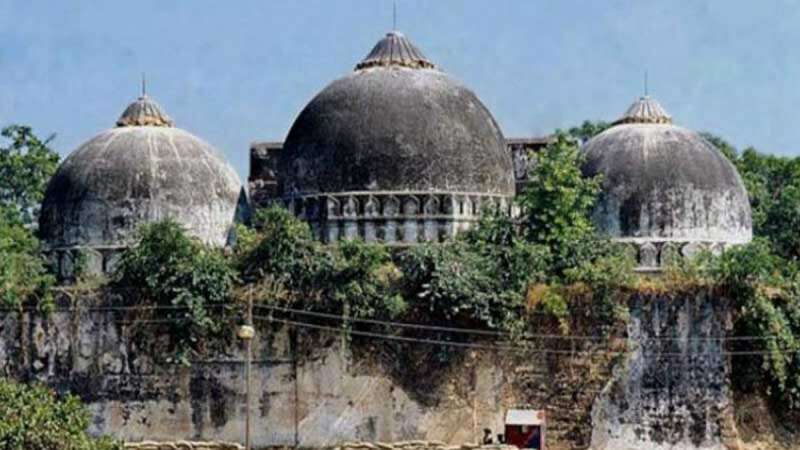 New Delhi : The Supreme Court on Friday referred the politically sensitive Ram Janmabhoomi-Babri Masjid land dispute case for mediation. It formed a panel of mediators and appointed former apex court judge Justice (retd) F M I Kallifulla as chairperson. The other members on the panel will be spiritual guru Sri Sri Ravishankar and senior advocate Sriram Panchu. The mediation process will begin by the end of next week in Faizabad, directed the apex court. A five-judge Constitution Bench headed by Chief Justice Ranjan Gogoi said the panel of mediators will file a progress report of the mediator proceedings within four weeks and the process should be completed within eight weeks. The apex court also directed them to ensure "utmost confidentiality" to make the mediation process a success. Fourteen appeals have been filed in the apex court against the 2010 Allahabad High Court judgment, delivered in four civil suits, that the 2.77-acre land in Ayodhya be partitioned equally among the three parties -- the Sunni Waqf Board, the Nirmohi Akhara and Ram Lalla.